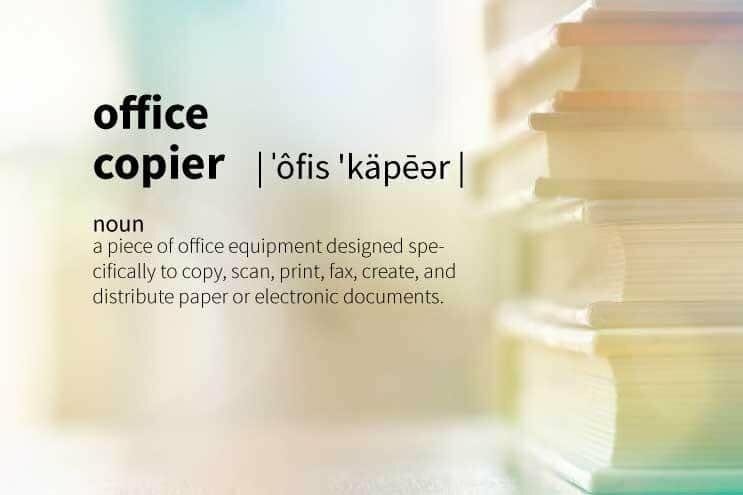 An office copier (also known as a copier, copy machine, and multi-function printer, or MFP) is a piece of office equipment designed specifically to copy, scan, print, and fax paper or create electronic documents from paper originals to distribute. There are many different manufacturers and models with varying features, add-ons, and technology. Businesses need to decide which one is best for their business, since office copiers usually operate in a business for five years or more and can range from $100 to over $10,000. Financing for office copiers is typically handled by leasing companies.